First things first, if you are a guy, you may want to leave this blog post now as it's about to get a little personal in here. Unless of course, you are reading to get information for your wife or girlfriend. But today we are going to talk about periods. Not the little dot at the end of a sentence, but rather the inconvenient thing that visits us every month or so. Growing up, I always, always used tampons. In fact, I remember my mom saying something about making sure I use tampons right away so they aren't scary to me. After I had Zoelle and my periods returned, I went back to tampons. It was the only thing I knew. Before getting pregnant with Meridian, I started hearing something about cloth pads, better known as mama cloth. I was intrigued and because I hate that nasty chaffing feeling of wearing pads 24/7 after you have a child, I decided to order a bunch. I fell in love with them! Don't laugh until you have tried them, then come back and talk to me! Especially for postpartum nastiness and healing, they are the best thing ever! After Xiomara was born, I started hearing more and more about feminine cups. I bought myself a Diva Cup on the recommendation of many, and despite how much I try, I just can't get it to work (sorry if that is TMI). Thus, when Moms Meet offered for me to try Softcup, I was instantly excited. Yes, even about getting my period! 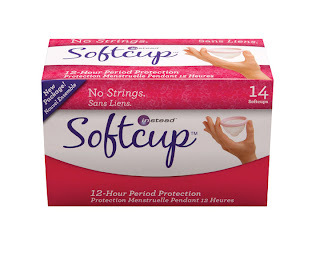 What is softcup? It's a greener, simpler alternative to pads and tampons. It's a soft, flexible cup that is worn around your cervix. It works by collecting, rather than absorbing. It's soft and you can do any activity while wearing it! It is not linked to TSS (Toxic Shock Syndrome) and is hypo-allergenic and latex-free. It's also very affordable, costing only $8-$10 for a 14 pack. So how did it work? Actually very well. I don't want to go into a ton of personal details for your sake and mine, but it was easy to get in, worked well, and easy to take out. It is a bit messy when taking out, but that is only because it doesn't absorb, rather holds. I did have a few leak issues at the beginning, but that is only because I didn't quite know how to place it correctly in. After looking around on their site, several of my questions were answered under their How To section. Furthermore, I found their Facebook page extremely helpful in answering questions or offering tips! 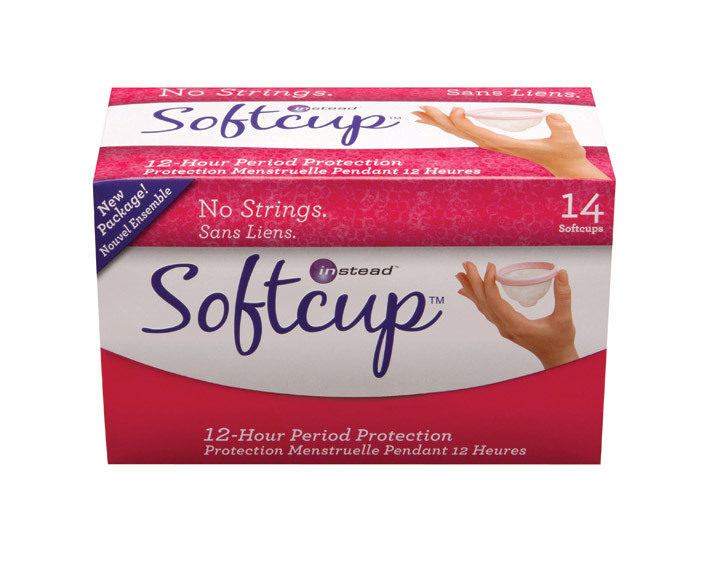 If Softcup is something that interests you and you are wanting to give it a try, look for it in your Walmart, Walgreens, CVS, Rite Aid, and many others, along with online! I personally recommend it! You just might be surprised at how easy and nice your periods can be! Disclaimer: I received this product for free from the sponsor of the Moms Meet Program, May Media Group LLC, who received it directly from the manufacturer. As a Moms Meet blogger, I agreed to use this product and post my opinion on my blog. My opinions do not necessarily reflect the opinions of May Media Group LLC, or the manufacturer of the product. I just don't think I can stomach it. Yes please do becuase the "it's a little messy" part is what made me think, NO WAY JOSE!